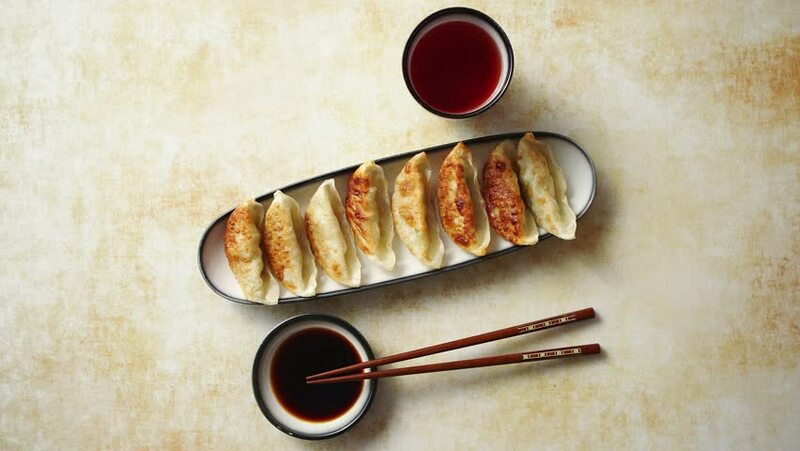 Orginal asian dumplings gyoza served in long plate with soy souce in a bowl and a cup of tea. With chopsticks. Placed on rusty background. 4k00:15A large double burger with chicken is laying on a wooden board next to french fries. Professionally cooked fast food. hd00:07Hand putting cup of fries. Tasty fast food on table. Dinner is ready. Fast food cafe's typical meal.